If Sinclair Broadcast Group’s attempted $3.9 billion takeover of Tribune Media is eventually approved by federal regulators, Tribune’s local affiliate, KSWB-TV Fox 5 San Diego, would be sold to an unidentified buyer. Baltimore-based Sinclair, one of the largest owners of TV stations in the country, said it would sell KSWB, along with 22 other stations, as part of its divestiture of certain assets in order to obtain regulatory approval for the acquisition. News reports speculate the buyer of KSWB could be Meredith Corp., Standard Media Group or Cunningham Broadcasting. KSWB officials declined to comment or answer questions for this story. They deferred to Gary Weitman, senior VP corporate relations for Tribune Media, who also declined to respond to a request for comment. Following the divestitures intended to appease regulators, as well as the Tribune acquisition, Sinclair would own, operate or provide services to 215 television stations in 102 markets. The Sinclair-Tribune megamerger is not a done deal. Approval is required from the Department of Justice and the Federal Communications Commission, which has previously observed a guideline limiting reach to 39 percent of U.S. households. The proposed merger would create a media giant with access to a vast swath of 72 percent of American households. Opponents to the deal have included both Republican and Democrats lawmakers. 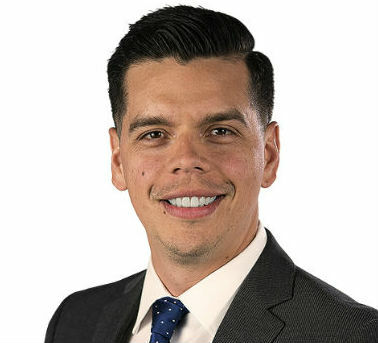 Telemundo 20, a Spanish-language station owned by NBC Universal, has named Carlos Ramirez as sports anchor for its 5 p.m. and 6 p.m. newscasts. 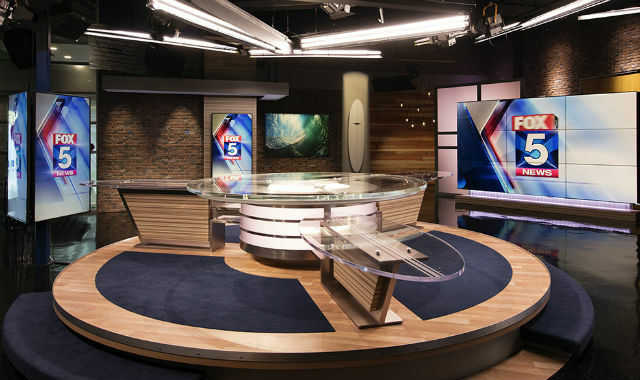 Telemundo 20 shares studio space with NBC 7 San Diego. Dominican Republic native M.J. Acosta, sports anchor for both NBC 7 and Telemundo 20, will continue to deliver sports news for Telemundo’s 11 p.m. newscast, the station said. Ramirez, winner of the Journalist of the Year award from the Venezuelan Basketball Federation and Play-by-Play Announcer of the Year from the Venezuelan Soccer Federation, has more than 16 years of broadcast experience. He started working in sports radio in Venezuela at age 19. During his career, he has covered the 2006, 2010 and 2014 FIFA World Cup, six Copa America soccer championship and two Union of European Football Associations (UEFA) tournaments to determine the continental champion of Europe. Ramirez will lead Telemundo 20’s coverage of the 2018 FIFA World Cup tournament featuring teams from 32 nations playing from June 14 to July 15 in Russia. Julie Wright, center, with her team in the new offices. 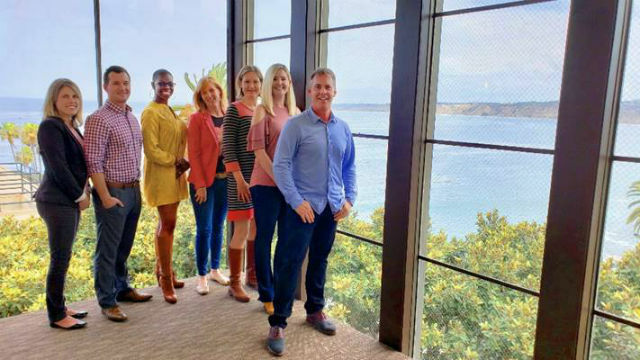 After 10 years in Solana Beach, (W)right On Communications, a public relations firm, has moved its offices to 1200 Prospect Street La Jolla, overlooking La Jolla Cove. She said bicycles and kayaks are available to encourage employees to enjoy their land and sea surroundings. To celebrate the move, Wright said staff members are planning to participate in a beach cleanup June 9 at La Jolla Shores’ Kellogg Park. Founded in 1998, (W)right On Communications operates offices in San Diego, Vancouver and Los Angeles. 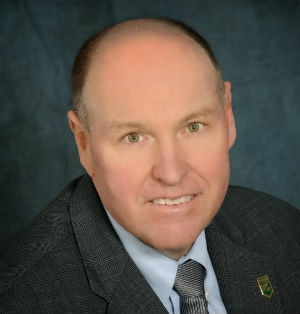 The Public Relations Society of America’s San Diego-Imperial Counties chapter will host a professional development program on crisis communications from 11:30 a.m. to 1 p.m. on Thursday, June 14, at Carlsbad’s Faraday Center, 1200 Carlsbad Village Drive. The program, “Rapid Response Communications: How Companies, Government Agencies and Nonprofits can Educate and Activate the Public Quickly,” will be hosted in partnership with the California Association of Public Information Officials. Speakers will include: Alex Bell, County of San Diego, on the Lilac Fire; Tom Christensen, County of San Diego, on Hepatitis A; and Emily Cox, American Red Cross of San Diego and Imperial Counties. Cost to attend is $35 for members, $45 for nonmembers and $25 for students. For more information, visit www.prsasdic.org.